Prepdoc prepares patients for their medical consultation via an application that they can run through their browser on a computer or tablet. The older people get, the more difficult it can become for them to explain what’s wrong or how they feel during medical consultations. This makes diagnosis more difficult and can lead to mistakes and lack of trust. In the Netherlands, 90% of elderly people use a computer, which means more and more are familiar with digital devices. This enables digital training of older adults to help them deal with medical consultations. Prepdoc is funded by EIT Digital and is part of the Digital Wellbeing Action Line for 2018, with University of Utrecht as activity lead. Many organisations in various European countries have developed information and awareness campaigns to improve Shared Decision Making (SDM) in health care consultations, but there is no focus on communication strategies to empower older patients to participate in SDM. Elderly patients benefit more when they are able to overcome major barriers to SDM by practising before the actual conversations with health professionals, Shared Decision Making (SDM) in discussions between health professionals and older patients leads to fewer hospital readmissions and generally healthier patients, according to many researchers. As the name describes, Prepdoc prepares patients for their medical consultation via an application that they can run through their browser on a computer or tablet. 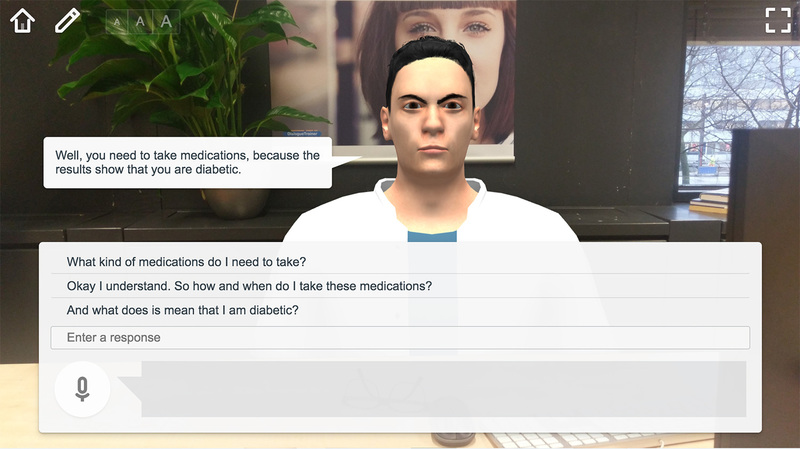 Just before a consultation, elderly patients receive a brief training from Prepdoc, in which they can talk to a virtual character, amongst other things. This empowers them to give a better description of their situation and helps to build their trust in their healthcare professional and it results in better decisions about desired care and treatment. A prototype demo is available here.